Exporter of a wide range of products which include gel ball, finger exerciser ball and hand exerciser ball. We are leading supplier, wholeseller and trader of Hand Exercise Ball. We have gained expertise in offering world class Hand Exercise Ball. These Hand Exercise Ball are manufactured as per the world class standards and parameters which are highly appreciated by clients. Also, we keep the various demands and requirements of the clients in our mind while offering these Hand Exercise Ball. We are leading supplier, wholeseller and trader of Hand Exerciser Ball. We have gained expertise in offering world class Hand Exercise Ball. These Hand Exercise Ball are manufactured as per the world class standards and parameters which are highly appreciated by clients. 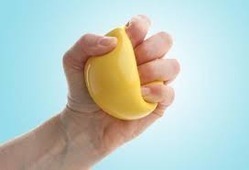 Also, we keep the various demands and requirements of the clients in our mind while offering these Hand Exercise Ball.